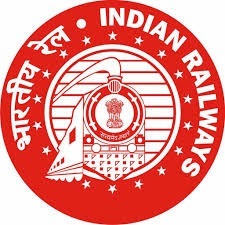 South Eastern Railway (SEC) issued Notification for Recruitment against Scouts and Guides Quota-2015-16 in Group – 'C' and Group - 'D' Vacancies. Eligible and meritorious Scouts & Guides candidates apply on the prescribed application format on or before 25th January 2016. For NTPC - Minimum Matriculation or equivalent examination with 50% marks in aggregate. The stipulation of 50% marks is not applicable having higher than Matriculation Qualification and SC/ST candidates. For Technical - Passed out Act Apprenticeship/ITI. Certificate of Act Apprenticeship / ITI must be approved by SCVT/NCVT. Group D (Erstwhile) : 10th pass or ITI or equivalent or NAC (National Apprenticeship Certificate) granted by NCVT. N.B. Candidate must possess Scouting/ Guiding Qualification. Candidate should be a President's Scouts / Guides /Ranger / Rover (OR) Himalayan Wood Badge holder (OR) A Pre-HWB trained Scout Leader/Advanced trained Guide/Leader/Captain. Should have been an active member of a Scout Organization for at least 05 years. Should have attended at least Two events at National level (OR) All India Railway’s Level AND Two events at State Level. Examination Fee: ₹ 100/- for Unreserved and OBC candidates. Candidates belonging to SC/ST/PWD (PH) & Women, Minority Communities and Economically Backward Classes/Sections are exempted from payment of examination fee. For recruitment in Gr. 'C' posts, applications should be addressed to the CHAIRMAN/RAILWAY RECRUITMENT CELL, SOUTH EASTERN RAILWAY, 11, GARDEN REACH ROAD, KOLKATA-700043, by ordinary post only or to be dropped in the box provided at GM Building, 1st Floor, Recruitment Section, Garden Reach. The format of application should be neatly typed and duly filled by the candidate's own handwriting duly accompanying with self attested copies of all Certificates either in English or Hindi on A-4 size paper. Two passport size recent coloured photographs (without coloured glasses/sunglass/cap on the head) one without signature and one duly signed by the candidate and attested by the Gazetted Officer be pasted in the specified space on the application form. Two passport size recent photographs (same as affixed in the application form) duly signed on the top should be clipped along with the application form. The last date for receipt of application is 25/01/2016 up to 6:00 PM IST.